You may experience an increase in sibling fighting during the holidays. Routines are shifted, bedtimes may be later, added cousins and friends may contribute to the chaos. However, you can establish joy again in your home by applying these simple principles to sibling squabbles as they arise. Get the right perspective and let the Lord lead you through this journey. 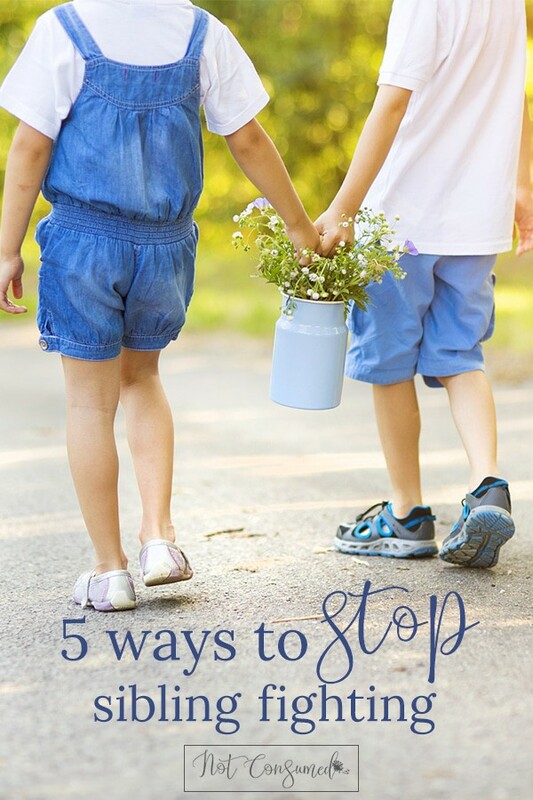 Head over to Not Consumed for excellent insight and 5 ways to stop sibling fighting in your family.